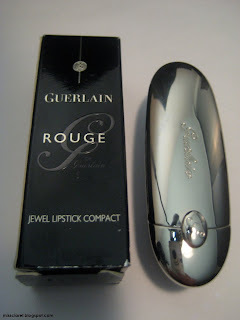 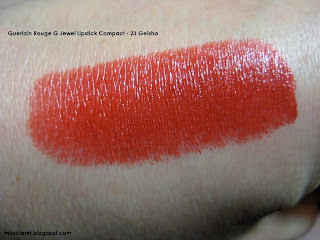 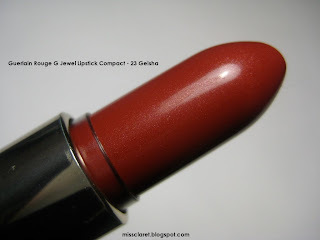 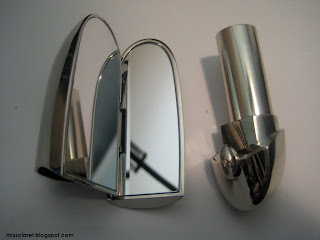 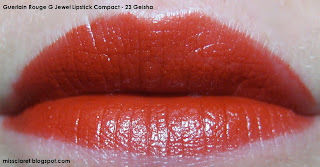 I discovered Guerlain's Rouge G Lipstick Compact when it was launched and have purchased most of the red shades. 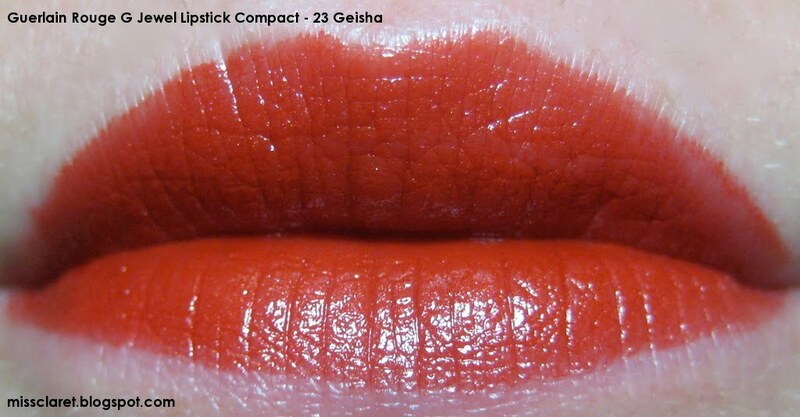 My 'shade of the moment' is 23 Geisha. The Rouge G packaging is designed by French jeweler, Lorenz Bäumer and is incredibly stylish - I love carrying these lipsticks around in my handbag! The lipstick itself is of a high standard, with good staying power, pleasant scent and moisturising properties, I would say that the only down side is that the lipstick is fairly weighty so if you are carrying three of these at any one time (as I often do) you will notice it!